The Vinnytsia branch of the National University of the State Tax Service of Ukraine was established in June 2002. 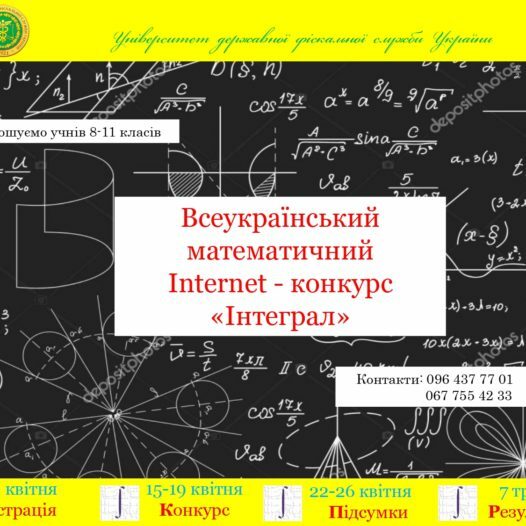 In 2016, the Vinnytsia branch acquired the status of the Vinnytsia Educational-research Institute of the University of the State Fiscal Service of Ukraine.Vinnitsa Educational-research Institute of the University of the State Fiscal Service of Ukraine trains specialists in the following areas: “Entrepreneurship, Trade and Stock Exchanges”, “Finance, Banking and Insurance”, “Accounting and Taxation”, “Law”. Specializations: customs control and audit, tax affairs, finance, entrepreneurial activity. 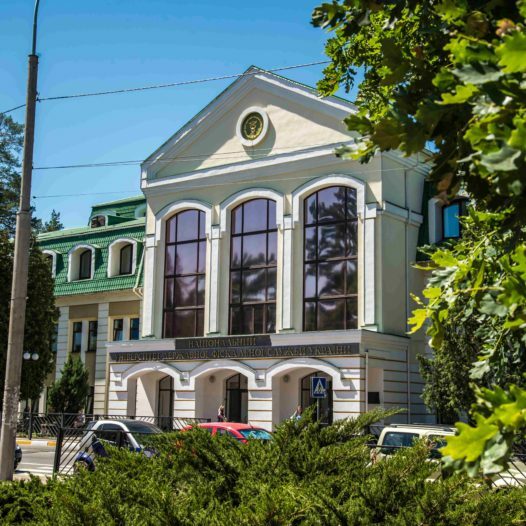 At present, the scientific and pedagogical personnel of the Vinnytsia Educational-research Institute of the State University of the State Fiscal Service comprises 20 persons, of which17 who work on a permanent basis, and three persons work for hourly wages. The qualitative composition is as follows: four professors, nine associate professors, twelve senior lecturers, one assistant, all of them have a significant experience in the bodies of the state fiscal service. During 14 years of providing educational services in the region, more than two thousand highly skilled specialists who have been successfully working in the State fiscal service of Ukraine, customs and other state and supervisory bodies, and business structures have been trained. The students have educational rooms, educational laboratories, modern computer classes, in which students can use modern world programs, a library with reading rooms, a dining room, youth cafes. In the educational institution there is a scientific society of students actively participating in scientific international conferences, competitions of scientific works. Graduates of the Vinnytsia Institute have a high rating and are in demand in the domestic and foreign labor markets. Yes, they successfully work in state bodies and their structural divisions (State fiscal service, State Treasury Service, Ministry of Finance of Ukraine, regional customs, State Financial Inspection of Ukraine, The State Property Fund of Ukraine, the Accounting Chamber of Ukraine, the Pension Fund of Ukraine, etc.) and commercial institutions (accounting and financial services of enterprises, audit companies, investment companies and funds, non-bank financial institutions, leasing companies, insurance companies, utility companies, etc.). In addition, the Vinnitsa Institute’s administration is helping students with employment. З відзнакою закінчила Вінницький державний аграрний університет. У 2014 році захистила кандидатську дисертацію та отримала науковий ступінь кандидата економічних наук , у 2018 році отримала атестат доцента кафедри фінансів, обліку та оподаткування. Сферою наукових інтересів є формування державного та місцевих бюджетів в умовах децентралізації фінансових ресурсів. Автор понад 80 наукових та науково-методичних праць. З 2016 року працює у Вінницькому ННІ УДФСУ на посадах доцента, завідувача кафедри фінансів, обліку та оподаткування. кафедра фінансів, обліку та оподаткування. Відділ організації виховного процесу та соціальних питань спільно із КМЦ “Сузір’я”, Студентським ректоратом та Профкомом студентів та курсантів НУДФСУ проводить конкурс великодніх писанок, вербних букетів, великодніх композицій з нагоди Великодня. Нагородження переможців відбудеться 24 квітня 2019 року о 13:00 у холі корпусу С.